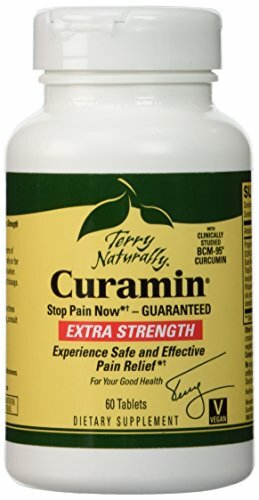 AWARD WINNING - Curamin formulas have been recognized by the natural products industry and customers alike because of one simple reason--they work. Each provides ingredients for safe and effective pain relief. CLINICALLY STUDIED - Includes BCM-95 Curcumin extract with turmeric essential oil and is better absorbed than plain curcumin. This clinically studied ingredient delivers proven results and outstanding pain relief. DLPA - helps support the effects of endorphins and enkephalins--the "feel good" chemicals in your body--a critical consideration for pain relief. NATTOKINASE - helps get these ingredients to where they are most needed in the body. If you have any questions about this product by EuroPharma, contact us by completing and submitting the form below. If you are looking for a specif part number, please include it with your message.